The Libraries, in cooperation with the Philippine Map Collectors Society (PHIMCOS), invite the academic community to visit the cartographic exhibit entitled "Ang Paglalatag ng Pilipinas sa Mapa = Putting the Philippines on the Map" at the 6th floor Exhibit Area of The Learning Commons, Henry Sy Sr. Hall. This roving exhibition displays reproductions of important maps of South East Asia and the Philippines. These maps, dating from 1525 to 1760, not only show the historical importance of cartography, but also how the Philippines emerged in maps over the centuries. The exhibit will run from 20 to 29 June 2016, 7:00AM to 8:00PM. 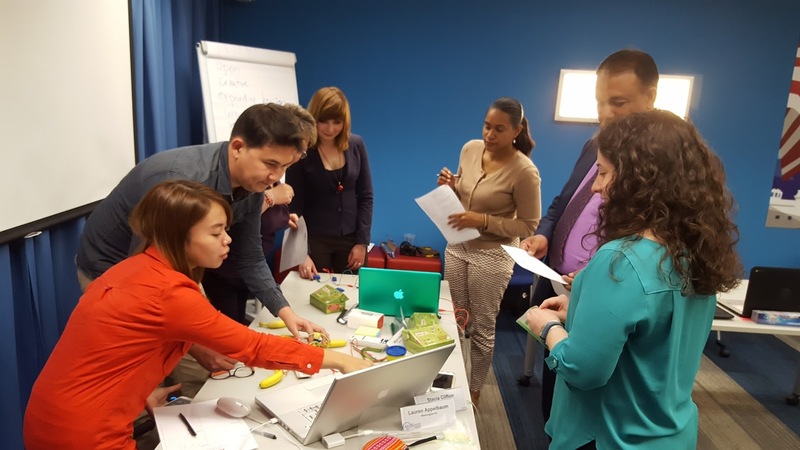 As part of the DLSU No Impact Experiment, the Libraries and the American Corner-Manila joined the LEAP class of Dr. Carla Pacis to teach the school children basic vegetable gardening and to tell stories about eating green leafy vegetables. This outreach activity was held at the Natipuan Elementary School, Natipuan, Batangas on 14 June 2016. One hundred (100) children in grades K-2 listened to storytelling sessions conducted by Candy May Schijf, STC Library Coordinator. A total of 180 children in grades 3-6 participated in the vegetable planting workshop. Lanie Espiritu from Home Gardening was invited to give a lecture and demonstration on vegetable gardening. This activity was also attended by seven student volunteers from DLSU Manila as alternative learning class. The show follows the adventure of Noli and Aya as they travel back to historical time to know more about the lives of our great heroes. 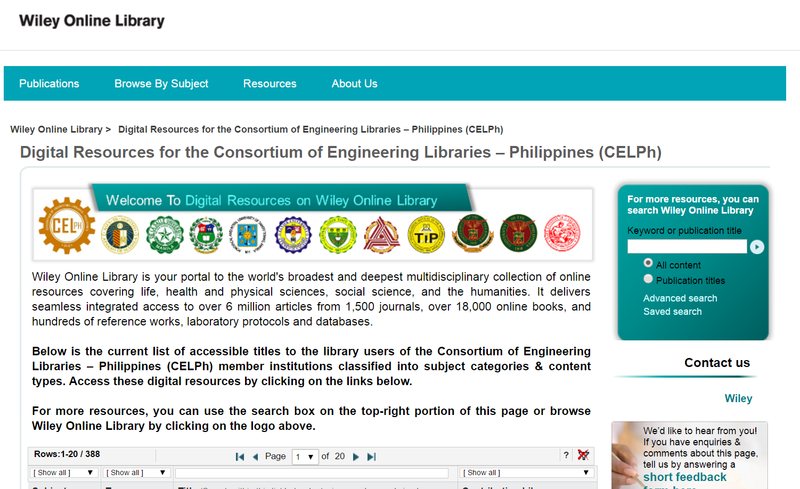 The Libraries is pleased to announce that access to the Wiley Online Library (Engineering e-books) is now available on and off campus. 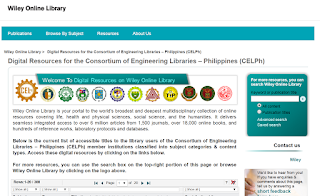 The Wiley Online Library serves as a portal to access 388 e-book titles (to date) covering the engineering discipline and other allied subjects, selected by the Consortium of Engineering Libraries-Philippines (CELPh) of which DLSU is a member. To access the e-books, please visit the library’s E-books Databases page. A new exhibition entitled, Stay in Shape. 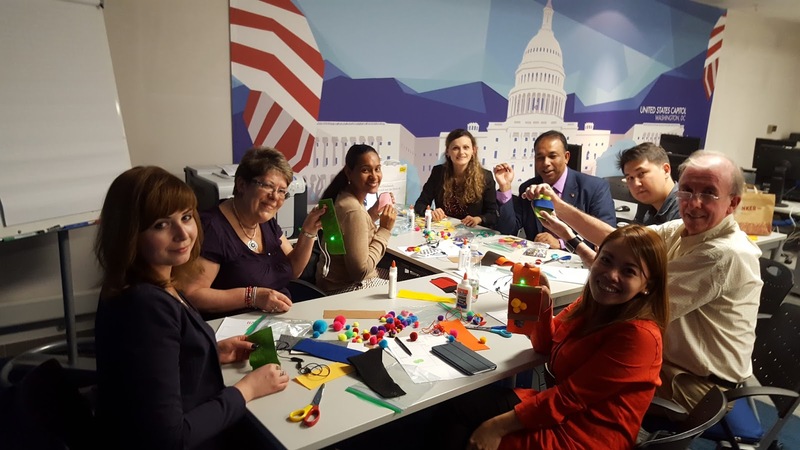 Make an Impact! 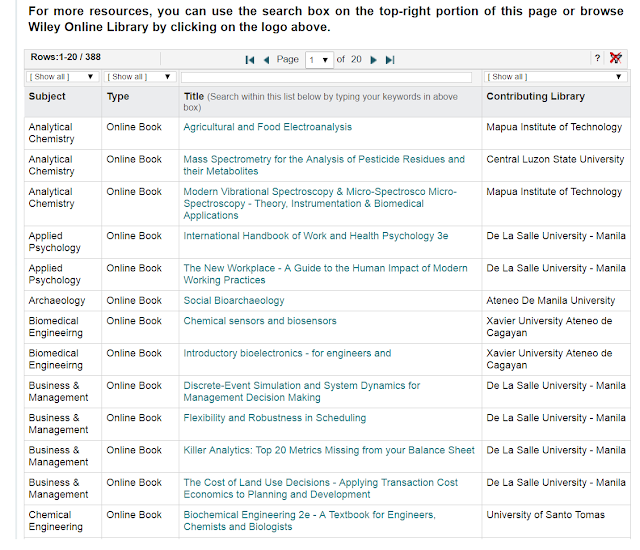 is currently on display at the 6th floor Exhibit Area of The Learning Commons, Henry Sy Sr. Hall. 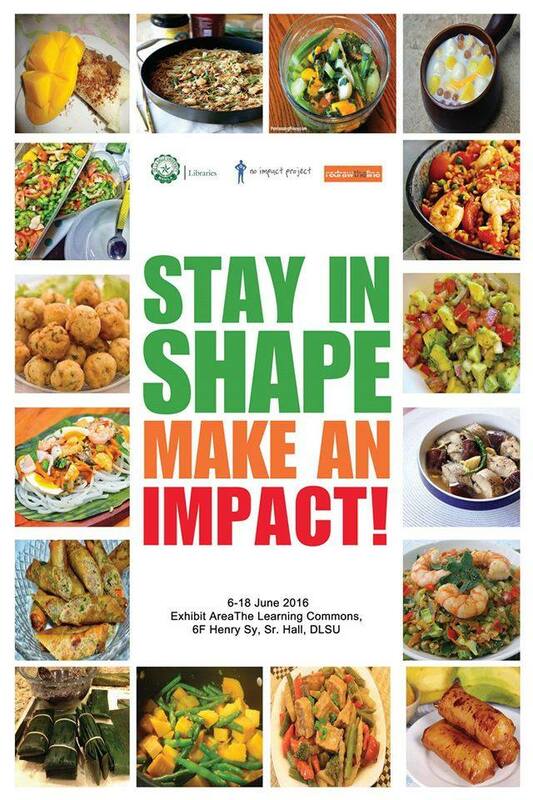 As part of the DLSU No Impact Experiment, the exhibition features the eating habits of Filipinos by using the Libraries' collections of recipe books, films, and literary works. Stay in Shape. Make an Impact! tackles the importance of eating healthy foods and reducing foodprint to save the environment. It also includes powerful digital posters that encourage every Lasallian to eat local foods, save the food and share the extra. The exhibit will run from 6 to 18 June 2016, 7:00AM to 8:00PM. 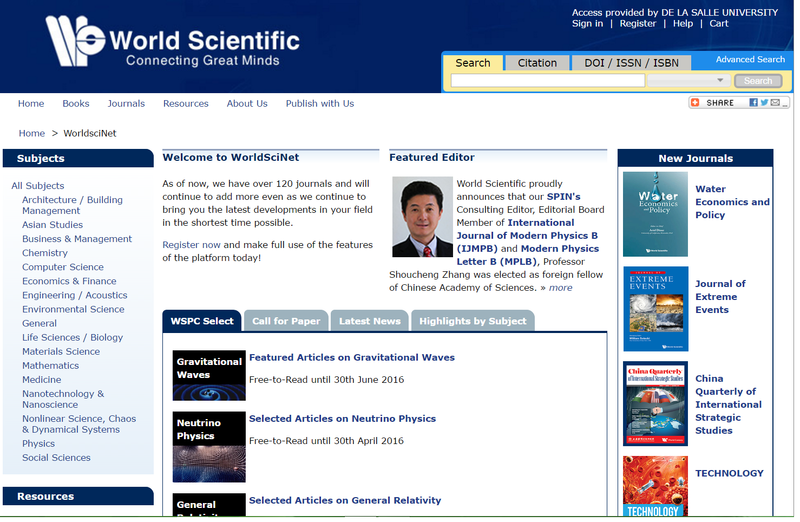 The trial access to World Scientific Publishing Company’s (WSPC) eJournals is now available until 30 June 2016. Once WSPC has been tried, kindly click and accomplish this Online Feedback Form. Your feedback/recommendations/comments will greatly help in evaluating whether or not to officially subscribe to this service. This film discusses the “history of information dissemination, from the printing press to the telegraph, radio, television, satellites, and the Internet” (source video).